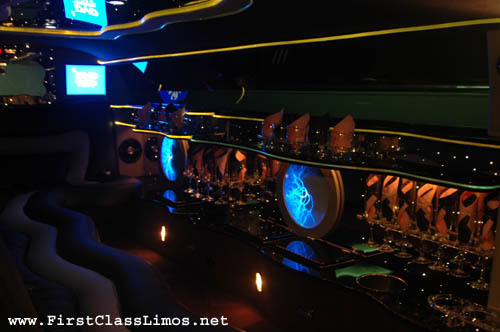 Recently voted "Hottest limo of the year"
Mirrored ceiling, one of a kind Chrysler Cool Vanilla white paint, "The Bentley Grill", Plasma TV, custom wave seats with diamond stitching, bar areas, strobe lights, lightening disks in the bars, fiber optics, single window stretch, and more! Weddings: Saturdays $625 for 5 hour package plus tax and 20% tip. 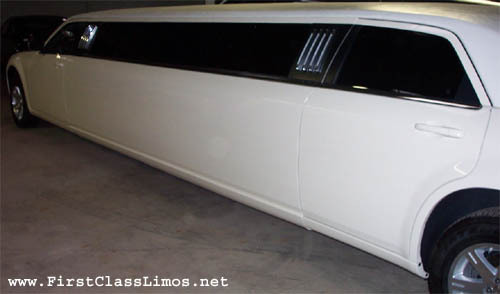 We also offer our Ultimate Wedding Package, have the limo all day at your disposal, 9am-midnight. Transfer guests, use it to go to the hair salon, pick guests up from the airport, anything! 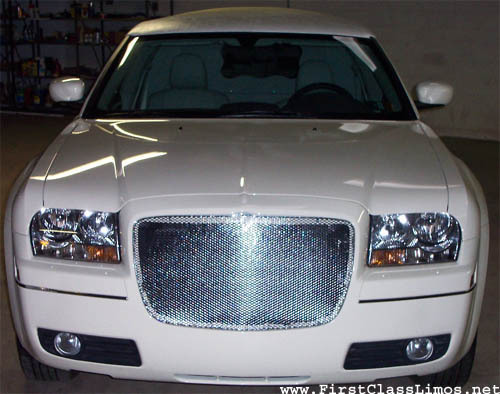 Includes 2 complimentary honeymoon airport transfers with the rental. $1250 plus tax and tip. Ask about our new All Day Prom Package! 2pm - 5am, have the limo at your disposal to go and get your hair done, take you to prom, to after prom and home from after prom! Just $165 per person when splitting the cost between 10 people!